Aldo Rossi was saying of his architecture that the things saw with great firmness. Surely in his first projects this ‘firmness’ be more palpable, recognized in works practically isolated of his context, with a formal purity that he speaks to us about an architecture concebida as an object, probably fruit of the primacy that the Milanese was giving to the scene with regard to the event1. Nevertheless this hieraticidad of his objects goes being diluted by the evolution of a career established in a few theoretical postulates of great complexity to early age. There get lost the recognizable coffee machines, sheds of beach, friezes and pure lines, appearing certain distortions fruit of the relation of these objects with a context that was not coinciding with the environment of proximity, if not to what the own Rossi called ‘Analogous city’, strongly related to concept of Gustav Jung‘s analogy2 and the vedutismo, specially by the visions of Canaletto on Venice in which there is reached a cartographic precision of an environment that mixes reality and fiction, incorporating buildings paladianos that did not go beyond the project to the royal scene of Venice, offering a personal vision that constitutes in yes the same city, the analogous city. 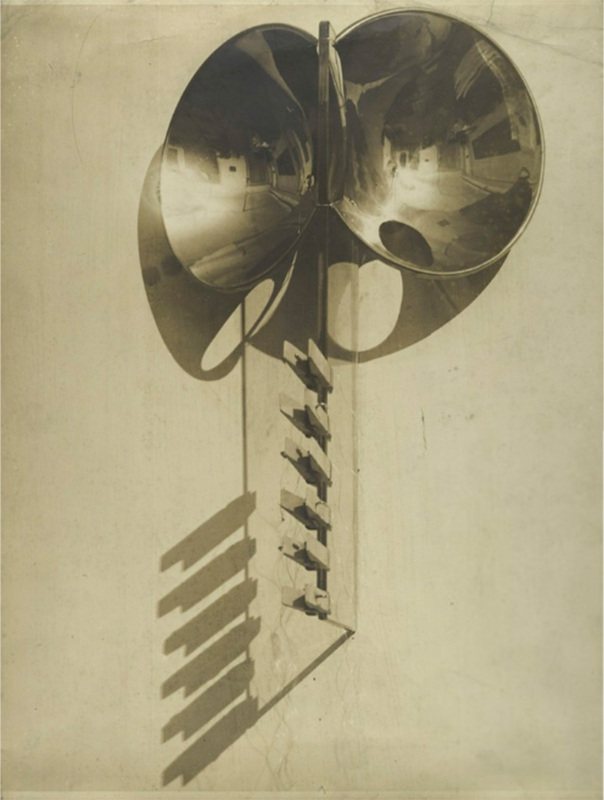 Rossi’s interest is known to collecting what the photographer Man Ray baptized as ‘Objects of my affection’. For the American it was not any more than a form of flirting with the dadaísmo portraying objects descontextualizados or separated from his original function, nevertheless for the Italian they were a notebook of binnacle of recognizable, fixed and rigid objects which the project or the memory was served to recreate this analogous city that was deforming and influencing his architecture and was removing it from the purism of his first works. This way we can realize a precise dissection of Rossi’s influences for his architecture if we observe the brilliant drawings and photographies that were accompanying the Italian architect in every stage, with a response constructed in direct relation with these influences that with so much determination it was camouflaging and even he was denying. Surely the principal difference between the objects of affection of one and other one takes root in the attitude of each one at the moment of focusing the discipline, and surely the life. We observe in Rossi’s work an almost compulsive interest in the accumulation of objects with a formal direct relation with his later projects, a tremendously pragmatic reading of the environment that in spite of his coarse culture and interest for other disciplines and currents, an analytical approximation to the reality that was surrounding it with the objective road surface of extracting the formal traces that were arranging his projects and were providing this load semiológica that so much was worrying him. 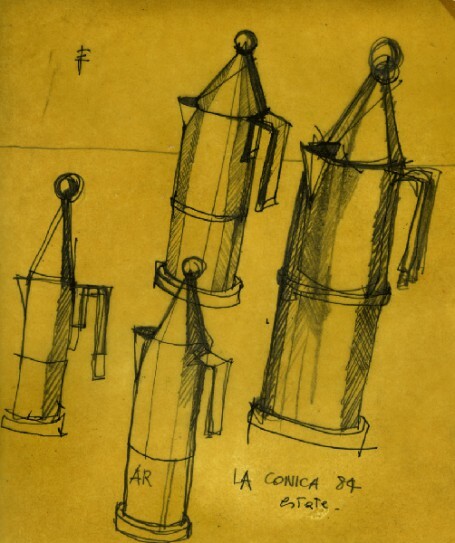 Precise annotations, sketches repeated up to the satiety and an order of priorities in the drawing that was organizing into a hierarchy the really important of every note: the chimneys, coffee machines, constructions parafinadas and the game of lights and shades. A disciplined look, of architect who has never broken a plate. On the contrary Man Ray used his objects of affection as way of exploration of the limits of a discipline that was despising3. The relation that the American establishes between these objects with his later work lacks any formal relation, even in technical aspects, in which he was a visionary. 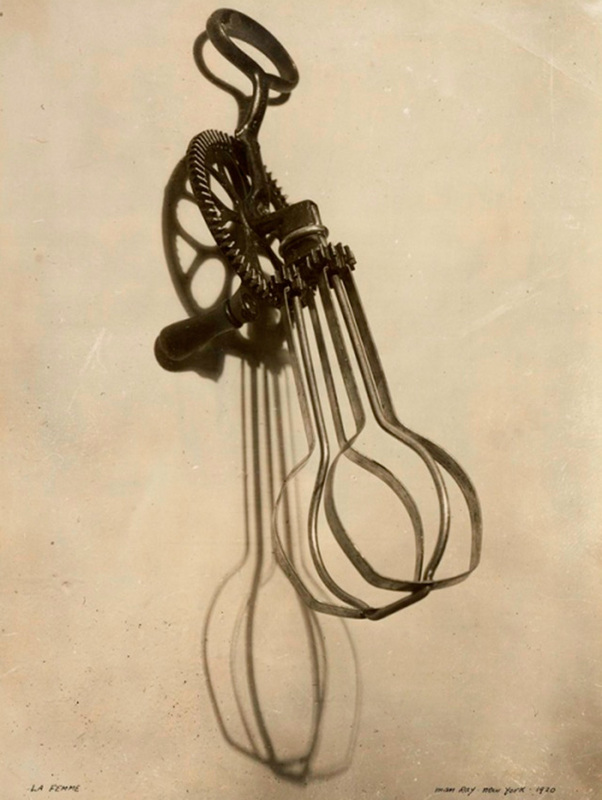 It uses these objects as base of a thought that was seeking to turn the photography into art. With the same interest that the Milanese for the attraction of manipulating the reality but from a much more radical, more liberated perspective. Por el contrario Man Ray utilizó sus objetos de afecto como medio de exploración de los límites de una disciplina que menospreciaba3. La relación que el americano establece entre estos objetos con su obra posterior carece de cualquier relación formal, incluso en aspectos técnicos, en los que fue un visionario. Utiliza estos objetos como base de un pensamiento que buscaba convertir la fotografía en arte. Con el mismo interés que el milanés por el atractivo de manipular la realidad pero desde una perspectiva mucho más radical, más liberada. It is in the links that are established between the capacity of analysis and apprehension of the reality and the realized work, the major complexity of any artistic project. To begin a friendship between the past, the place, the persons and the present. Relation complex and difficult to manage. Relation complex and difficult to manage. I would not dare to establish the rules to obtain a perfect balance, but Eduardo Galeano, great disfrutador of the indigenous culture, tells us in ‘Window on the memory’, the ritual of initiation between craftsmen in the Amazonian jungle. When the old potter, close to move back, offers his better piece to the young, this potter he does not guard the jar to admire and to try to obtain a better piece, if not that the star against the soil, breaks in thousand pieces and it incorporates them into his clay. Man Ray clarified in his epitaph his attitude before the life ‘Unconcerned but not indifferent’. To Aldo Rossi, probably it had been necessary to break some plate more. 2. ‘I have made clear that the logical thought is the thought expressed in words, which goes on the outside as a speech. The analogical or fantastic and sensitive, imagined and mute thought, it is not a speech but a meditation on materials of the past, an act overturned inside. The logical thought is to think with words. The analogical thought is archaic, not expressed and practically inexpressibly with words.’ Correspondence deprived between Carl Gustav Jung and Sigmund Freud. Arquitecto y socio fundador y gerente de Seoane Arquitectura. 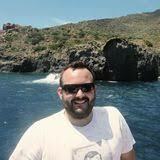 Experiencia activa en evaluación de riesgos y plan de negocio, gestión de personal y dirección de proyectos de ejecución. 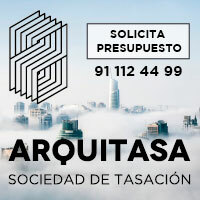 Gestión de carteras de inversión inmobiliaria, búsqueda de activos singulares y representación de intereses.